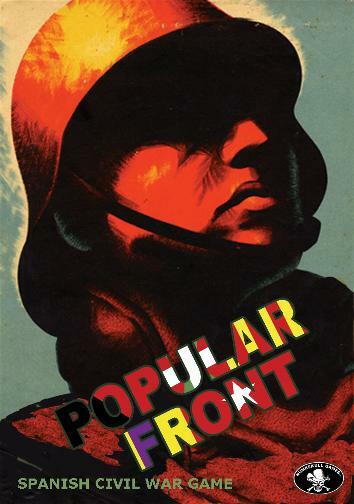 On the eve of the 9 May Victory Day celebrating the defeat of fascism, Russian Prime Minister Vladimir Putin raised eyebrows when he announced the formation of a “Popular Front”. He was speaking at a United Russia conference in Stalingrad (excuse me, Volgograd). Pulling down this pre-WWII anachronism from the communist history shelf was clearly intended to conjure up fond memories from Soviet times of people selflessly working together in harmony to defeat a common foe. But who is the common foe today? And does Russia’s ruling political party have a role and prestige comparable to the Communist Party of yesteryear? Or is this just another attempt by the new elite -- after dumping a discredited Yeltsin for an eagle-eyed Putin and then adding a smart young Medvedev -- to prevent Russians from turning against the harsh neoliberal post-Soviet order? There is no question that the Russian political scene is languishing. Putin’s approval ratings are the lowest in a long time at 53 per cent. President Dmitri Medvedev already looks like a lame duck. Commentators, especially Western, argue that the problem is that Russia is still weak as a civil society, that it needs decades to achieve the supposedly more mature level of democracy enjoyed by the West, the assumption being that civil society didn’t exist at all under socialism, where the Communist Party held a monopoly on political power. However, the party now dominating Russian politics, United Russia, is much less a genuine populist party than the CP. It lacks any perceivable ideology, rejecting left and right in favour of “political centrism” to unite all sections of society, emphasising pragmatism. As such it is merely the vehicle for politicians on the make and influence peddlers, which, given the post-Soviet economic model based on mafia and corruption, means it is rightly perceived by over 30 per cent of Russians as a “party of crooks and thieves”, according to an April Levada poll. Not unlike the American Republicrats or Egypt’s now banned National Democratic Party. These pundits also dismiss the only real opposition, the Communists, as not representing any “fresh” ideas. Though Russians can hardly relish the prospect of yet another revolution, Egypt’s revolution, which targets the key figures of corruption right up to the highest political offices, no doubt causes sighs of approval in Egypt’s former bosom friend. (The Soviet Union and Egypt were close allies from 1953–73.) This is not the first time that Putin has played on Soviet heart-strings to his political advantage. He had the Soviet national anthem reinstated and famously decried the collapse of the Soviet Union at the 60th anniversary 9 May celebrations in 2005 as “the greatest geopolitical catastrophe of the century”. So is the Popular Front intended to defend this sorry state of neoliberal affairs? Will it shore up the Putin-Medvedev tandem in the run-up to the December 2011 parliamentary and March 2012 presidential elections? The fact that it was Putin who took this initiative shows he is still the backbone of the current political order. The announcement shortly after the rise of genuine popular fronts in the Arab world is significant. Another development of note is the recent registration of the Congress of Russian Communities, an organisation of moderate Russian nationalists founded and now “spiritually led” by the charismatic Dmitri Rogozin. Some observers believe that Putin’s front working in a new tandem with Rogozin’s moderate nationalists is intended to take the wind out of the nationalists’ sails. Just as national sentiment was a key factor in ensuring the success of Egypt’s radical political shift in February, Russian nationalism now represents the most vigorous force demanding change. In Egypt, nationalists, socialists and the Muslim Brotherhood ensured the success of the revolution in February. Russia has a different confluence of political forces. Religion plays a much weaker role. It is nationalism plus its communist heritage that must be the inspiration of a truly popular front to reinvigorate Russian politics. Putin has staked out a claim as a bit of a nationalist, having restored a modicum of dignity to a Russia brought low by its embrace of the West, but he has otherwise made only cosmetic changes in the past decade, leaving in place the oligarchs (at least the politically benign ones). Bringing in a liberal face as represented by Medvedev to find greater accommodation with the West has been less than a roaring success, and the anti-Putin forces are gathering steam, but from the right rather than from the despised Russian liberals. These liberals warn that Putin is reinforcing the anti-democratic trend of the past decade, returning to the political style of Soviet days. But they ignore the fact that the forced social unity of the past was based on a very real ideology of relative social equality, and on economic development which provided the broad population with jobs and goods (albeit lacking in slick packaging). This is something which United Russia cannot promise, as the economy is at the whim of the market and the less-than-benign Western financial order. Post-Soviet corruption is much worse by all estimates, and the “deficits” of Soviet times have been replaced by empty pockets for most citizens. The only real alternatives for Russians to the present neoliberal stagnation are the Communists -- if they can get their message out -- or the nationalists. Putin simply cannot wrestle the economy into serving people’s needs, as it is in hock to the local oligarchs/ mafia and their allies abroad, which United Russia and Putin -- for all his possible good intentions -- represent. The dilemma appears to be slightly different in Egypt in the run-up to the September parliamentary elections and November presidential elections. Now everyone is a proud Egyptian, so the difference is more starkly between continuity with the neoliberal system bequeathed by Anwar Sadat and Hosni Mubarak (Amr Moussa and Mohamed ElBaradei) and the socialist alternative (Hamdeen Sabahi with his Nasserist Karama Party). Control of where Egypt goes now lies with the Muslim Brotherhood and its Freedom and Justice Party. Whether the MB will weigh in on the side of the capitalist or socialist presidential candidate in November will determine who actually wins that vital prize. Likewise, which faction the MB works with in the new parliament will determine in which direction Egyptian society will move. If the MB sides with the capitalists, this would replicate the current attempt by Putin to draw the nationalists into his Popular Front, meaning the underlying dynamics are in fact the same and the revolution in Egypt will grind to a halt. But even if Egypt's left in league with the MB triumphs, the prospects are grim. Obama has “generously” offered to forgive Egypt a cool billion dollars of its debt and offered it another billion in order “to work with our Egyptian partners to invest these resources to foster growth and entrepreneurship”. Why, one might ask, did the now holier-than-thou US allow the wildly corrupt Mubarak regime to contract this “debt” in the first place? Obama has also proposed that the World Bank and IMF draw up a plan “promoting reform and integrating competitive markets with each other and the global economy”. This neolib-speak may be roughly translated as “diktat” or better “blackmail”. It is obvious what will happen to this generous financial assistance if Egypt decides to oppose US prescriptions for its domestic economy and its “near abroad”. Just ask Putin. Before the revolution many Egyptians -- nationalists, socialists and Muslims -- were calling for an end to both US aid and US imperialism. These people have an outside chance of turning Egypt onto a path of social justice both domestically and in its foreign policy. If they triumph in Egypt’s eagerly awaited elections in September and November, the Communists of Russia will get a big boost when Russia in turn goes to the polls. They can hardly expect to win either election in Russia, but if they can work with nationalist forces, they could prove to be the core of the real Popular Front that Putin and United Russia would like to be.